GRAND came from the Cinema owned by my late uncle in the center of Copenhagen, called GRAND TEATRET. Other reasons why GRAND was such a brilliant name was that in choosing that as part of the name I send numerous greetings to my late uncle every single day. Apart from that the area of law that I specialise in are the intellectual property rights and that means that the name makes even more sense, because films consist of a lot of intellectual property rights! And that is the reason for IPR. 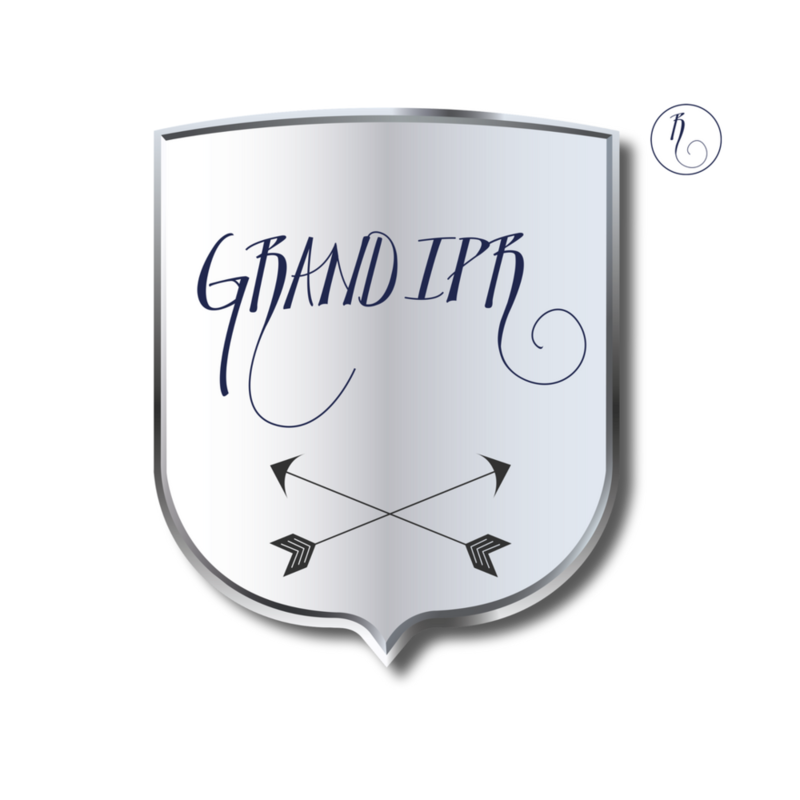 IPR stands for Intellectual Property Rights! Here you see to different versions of my logo or handwritten part of my trade mark. The writing was tilted so that it became more aligned. As you can tell the original was written near a corner in a sketch book. He then told me: you have a beautiful handwriting, you should use that! I protested for all I was worth. Not agreeing one bit. For a few minutes at least! I think I asked him if he was nuts, or something similar..... He then built his case and argued that what I protect is unique and my handwriting is unique! I sat back baffled. Really. My handwriting is beautiful? Oh my. At a much later stage I came across the graphic designer who helped me vectorise my handwriting. Martin Rahr. I love the way he made it look. More sophisticated. Here is a quick sketch that I made of the trademark, I imagined at the time that the tag line from my mothers linage was to be part of it. 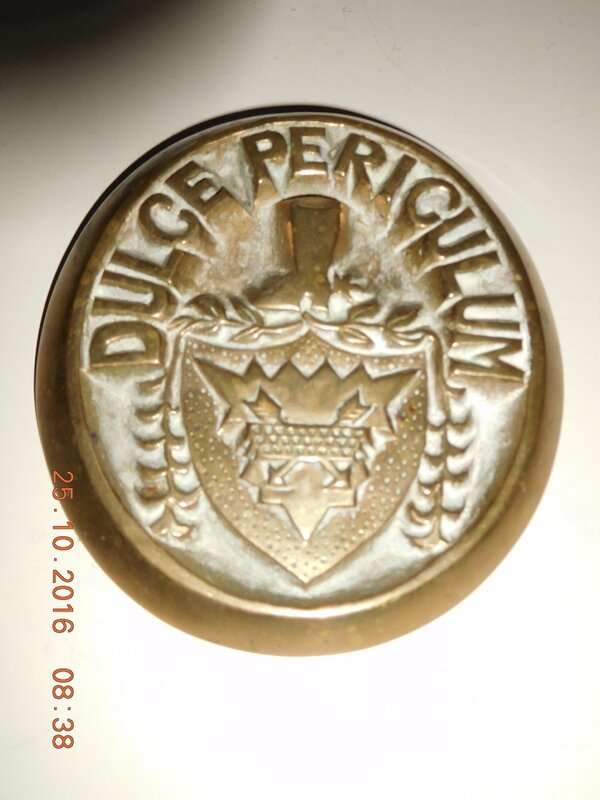 I came to realise that Dulce Periculum might be misconstrued and so I abandoned it. And YES I love it! It signals precisely what I want it to signal. Security, Fighting, Protection, Intensity, Fervour, Eagerness - again just to pick a few. This means that I get to have a unique registration symbol to use next to my registered TRADE MARK. What's not to like? I love to look at my REGISTERED TRADE MARK, it makes me proud. There you have it. The story and the evolution of my BRAND or TRADE MARK! Below you find the two coats of arms that were the basis of the inspiration for me, and thus formed the basis of my own trade mark. The one on the left belongs to my Swedish linage, Munck af Rosenshöld*, the one on the right belongs to my Spanish/French, Reumert, linage. Some claim that the elements on the right hand one was stolen from someone else’s coat of arms. I must admit I don’t know. *By the way it is not a mistake that I have written af, Danish, rather than av, Swedish, because my Swedish relations do write Munck af Rosenshöld with the Danish af, on their website! Need help developing a brand that is not rejected by the trade mark authorities?